This vision has now been realized through the combination of GMI and WuXiNextCODE. The partnership forged with Abbvie on behalf of GMI and WuXiNextCODE in 2017 is the anchor commercial partnership for the combined company and a showcase of things to come in commercializing big cohorts. This partnership remains one of the largest pre-clinical discovery deals forged between a global pharmaceutical company and biotechnology enterprise. With today’s announcement, Ireland (hyperlink) is poised to play a significant role in the years to come in driving forward scientific discovery. And the company that is helping to realize this vision, WuXiNextCODE, is poised to become the leading provider of solutions and content that hold unparalleled promise for the future of medicine and wellness. That’s a great place to be for the people of Ireland. A big day for science and personalized medicine – and congratulations to all involved! 23andMe is relaunching its direct-to-consumer genetic tests in the U.S. with the approval of the FDA to provide consumers “carrier status” information on 36 genes that can cause rare diseases. I am optimistic that DTC genetic testing will expand its impact over time, ultimately having a tremendous impact on human health globally. Today, genomics industry maverick, 23andMe, is relaunching its direct-to-consumer (DTC) genetic testing in the U.S., with the approval of the FDA to inform consumers whether they carry a genetic variant for one of 36 rare diseases that could potentially be passed on to their children. In addition to this carrier status information that now meets FDA standards, reports from the newly launched 23andMe test will include information on wellness, traits, and ancestry. For the genomics industry as a whole, this is a significant step forward as the FDA’s decisions have global influence. 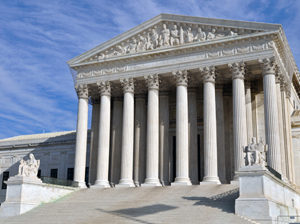 Indeed, this is a landmark FDA decision, as it is the first time ever that the FDA has allowed such a broad spectrum of medically relevant genetic information to be provided directly to consumers. Both the FDA and 23andMe deserve credit for working through the challenges that, less than two years ago, resulted in the FDA ordering 23andMe to stop marketing its genetic testing kits in the U.S. That the FDA—one of the world’s most thoughtful medical regulatory agencies—has come so far so fast is indicative of the potential it likely sees in DTC genetic testing improving the health of U.S citizens. • DTC genetic testing will likely expand the medical impact of its reported results. 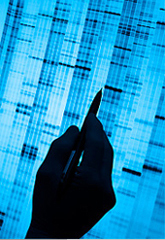 DTC genetic testing will expand its reach globally. Catalyzed by demand for improved health, DTC genetic testing services will inevitably become accessible to much of the world’s population over the decades to come. To be successful, these services will need to be customized by geography and culture and approved by the appropriate local governmental agencies. 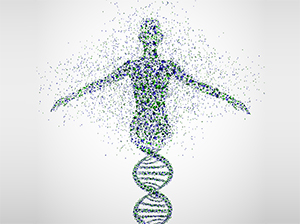 While the genome is shared by all humans, it is naïve to think that DTC genetic testing services will be the same across all people living anywhere. It is incumbent on industry participants to align their DTC reports and services to best meet the needs of the specific customers in specific countries and geographies—and to do so in a spirit of cooperation with the appropriate governmental health regulators. DTC genetic testing will likely expand the medical impact of its reported results. [23andMe’s tests] can be used to determine carrier status in adults from saliva collected using an FDA-cleared collection device (Oragene DX model OGD.500.001), but cannot determine if you have two copies of the genetic variant. Each test is most relevant for people of certain ethnicities. The tests are not intended to diagnose a disease, or tell you anything about your risk for developing a disease in the future. On their own, carrier status tests are not intended to tell you anything about the health of your fetus, or your newborn child’s risk of developing a particular disease later in life. Clearly, working with regulators such as the FDA, and others, such as thoughtful genetic counselors, there is a future potential for the right service to be able to report on people’s risk for developing specific diseases. 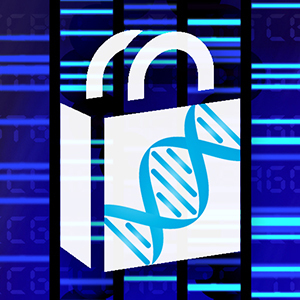 Informed, health-conscious consumers are very likely to demand access to this information—and millions of individuals have already paid significant sums out of their own pockets to have their genomes sequenced and analyzed. Indeed, from news reports covering 23andMe, we know that when ordered by the FDA to stop providing health information such as the disease risk, their rate of new customer sign-ups dropped by more than half. I am very optimistic that DTC genetic testing will expand its impact over time, overcoming skepticism and ultimately having a tremendous impact on human health globally. 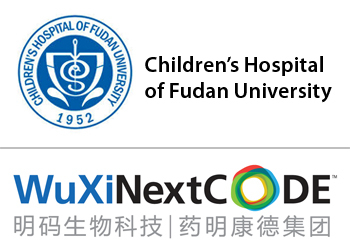 I am proud that our team at WuXi NextCODE will be a part of making this exciting future happen, and today I am especially proud that WuXi Ventures recently invested in 23andMe, making us active supporters of its current and noteworthy success. Genomics is helping to prevent and treat cancer at an accelerating rate, supporting the goal of oncologists to dramatically improve cancer patient outcomes. The progress in the use of genomics to help prevent and treat cancer continues to grow at a pace that is impressive. Indeed, there is expanded use of genomics to drive patient care and improve outcomes across an ever-expanding number of cancers by a growing number of oncologists. can provide insight into how cancerous tumors may grow and spread over time. With a genomic-based approach to cancer care, oncologists can more personally tailor anti-cancer treatments to an individual tumor’s mutations, thus molecularly targeting the specific cancer’s Achilles heel. Already, there are well-documented successes of molecularly targeted anti-cancer agents, such as cancer drugs that target certain genes—HER2, EFGR, ALK, and others. Evolving from ‘why’ to ‘how’ to use genomics at leading cancer centers. At the top cancer care facilities, genomics has become part of the programmatic approach to provide certain cancer patients with optimal care—care that is fundamentally designed to lead to the best outcomes. The question for leading medical centers globally has evolved over the last few years from “do we need genomics?” to “for which cancer types and at what stages of cancer treatment and diagnosis can we best use genomic sequencing and analysis?”—an evolution from “why?” to “how?” at a very fundamental level. The accelerating use and deployment of genomics by leading medical facilities validates that they are deriving significant value from genomics, and that value is resulting ultimately in meaningfully advancing better care for cancer patients. Expanding potential applications of genomics within different types of cancers, broadening the types of cancers and tumors that can potentially benefit from genomics. Researchers and clinicians continue to publish a wealth of information validating the potential of genomics to improve outcomes in certain types of cancer patients. In 2015 alone, highlights of these advancements include certain prostate cancers, brain cancers, rare types of pediatric kidney cancers, and even potential targets in certain non-small cell lung cancers. Broadening acceptance in cancer prevention. 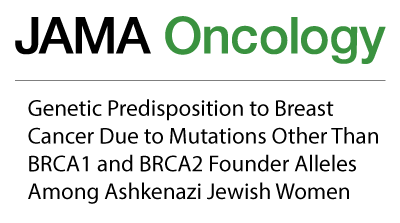 Driven in part by the education of oncologists and physicians generally and in part by the empowerment of knowledgeable patients, people are seeking and benefiting from genetic tests that reveal their personal risk for certain tumors (such as BRCA for breast or ovarian cancers). The idea of using genomic analysis to predict an individual’s cancer risk by comparing their genome with databases of confirmed genetic mutations linked to disease is—for certain individuals with specific family histories and genetics—driving appropriate medical decisions for patients who may be at high risk for certain cancers. Powering clinical trials with genomics. The use of genomics in cancer clinical trials – whether for inclusion in data-gathering or even screening of patients—has gone from rare to commonplace over recent years, and is improving knowledge around the safety and efficacy of drugs in cancer and beyond. Two large-scale cancer trials have been initiated in 2015 with the bold goal of substantially advancing the understanding and use of genomics in cancer care. The anti-cancer treatments being tested in both trials were selected for their activity on a specific molecular target, independent of tumor location and histology. The two trials are actively enrolling and are (1) an American Society of Clinical Oncology (ASCO)-sponsored study, called TAPUR (Targeted Agent and Profiling Utilization Registry) and National Cancer Institute (NCI) and is called NCI-MATCH (Molecular Analysis for Therapy Choice). These trials and any subsequent follow-on trials will doubtless provide insightful information to drive the growing use of genomics in improving cancer care. In summary, genomics is helping to prevent and treat cancer at an accelerating rate, supporting the goal of oncologists to dramatically improve cancer patient outcomes. There are at least four frontiers where we can see substantial progress in the use of genomics in cancer care, including expanded use in leading medical centers, increased potential applications within cancer, widespread acceptance in cancer prevention, and an increase in the use of genomics within clinical trials. I am personally committed to continue to drive and accelerate this genomic revolution to continue to bring true progress in improving cancer care to patients in need globally. There’s a huge opportunity ahead for genome sequencing to impact human health, beginning with cancer and rare genetic diseases. There is a documented history of conditions classified as “diseases of unknown origin”—in these cases, the biological mechanisms that led to the disease are simply unknown or have not yet been discovered. Yet as we learn more every day, certain diseases have clear links to underlying genetic mutations. 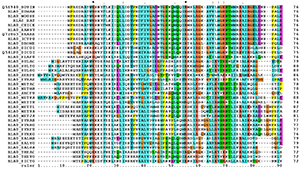 As such, analyzing the genome sequence of a patient diagnosed with one of these diseases might help lead to a better understanding of the disease etiology and potential treatment strategies, particularly in the areas of cancer and rare genetic disorders. While cancers have a range of causes and correlations, many have a set of genetic mutations that drive malignant growth. Recent advances have already introduced sequencing to the cancer category, as cancer patients are benefiting from genetic tests that reveal their personal risk for certain tumors (such as BRCA for breast cancer). Recently, evidence has suggested that certain genetic mutations could be responsible for the development of a wide range of tumor types (see the recent study in Nature, for example). These findings support the idea of using genomic analysis to predict an individual’s cancer risk, by comparing their genome with databases of confirmed genetic mutations linked to disease. In addition, genomic sequencing and analysis may help better understand the genetics of the tumor itself, and can provide explanations for how tumors evolve over time. Tests are increasingly available today that can help predict a tumor’s response to a specific type of treatment. With a genomic-based approach to cancer care, researchers expect that treatment will evolve to be more tailored to an individual tumor’s mutations and, eventually, through drugs that can attack several targeted gene mutations at once. Already we’ve seen evidence of this in certain areas, such as breast cancer drugs intended for use only in patients who test positive for the HER2 gene. Rare diseases are another area of significant opportunity for improved diagnosis and treatment through the use of genomics. Every year there are new cases of children with “unknown” diseases, many of which are likely related to a hereditary genetic disorder. These children and their families often spend years undergoing testing and experimental treatments for a wide range of diseases to attempt to properly diagnose and treat them, usually accompanied by a very high financial and emotional burden. There is a hope that by offering whole genome sequencing to patients with a suspected rare genetic disease, mutations that might be causing the disease may be identified, and thus correct treatment can be employed much earlier to eliminate the burden of a long-term diagnostic and treatment odyssey. Cancer and rare genetic diseases are just the start. There’s a huge opportunity ahead for genome sequencing to impact human health, and personalized medicine may be just on the horizon. In fact, we are focusing on just these areas with NextCODE, the newly launched company I’ve founded. The improvements brought about by the genomics industry, with the help of the technologies and services offered at NextCODE, will provide enormous value to patients, doctors, and the health care system as a whole.